In its first year airing the selection show, TBS won't waste too much time in sharing the bracket. The annual NCAA Tournament selection show is supposed to be an exciting, enjoyable event, a celebration of college basketball’s regular season and forthcoming postseason. But for several years, it became something else: an occasion for fans to slog through commercials and bite their nails off waiting for their teams to be seeded. If you haven’t complained about the slow pace of the selection show, you probably haven’t watched the selection show. Last year, CBS attempted to cure the show’s flagging reputation, revealing the entire bracket within the first 40 minutes of the show. Now TBS, in its first year airing the event, appears ready to follow suit. Sports Illustrated’s Richard Deitsch reports that the network plans to reveal all 68 teams and their seedings within the first half of the two-hour show. The decision to fast-track the announcement (at least relatively speaking) comes two years after CBS expanded to two hours and dragged out the reveal for much of the program, leading to thousands of angry viewers, a leaked bracket and record-low ratings. CBS changed course last March, but TBS raised alarm this winter when it indicated a return to the two-hour format that caused trouble in 2016. It’s easy to see why network executives would be tempted by a slow, drawn-out announcement. 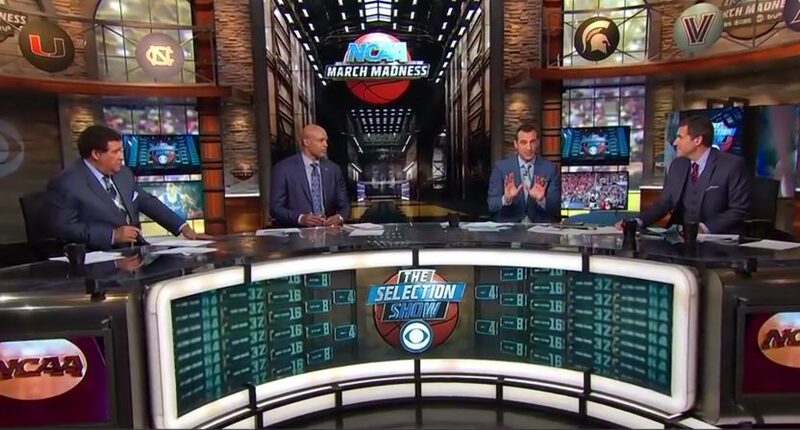 The selection show is a massively big deal for sports fans, especially college basketball lovers, and a certain number of viewers will hang around to see every team revealed, even if they do so begrudgingly. In theory, the longer you withhold the information fans crave, the longer they’ll stick around. But as CBS learned the hard way, there’s a cost to alienating your audience. At some point, people will change the channel and/or complain loudly enough about the experience that the juice is no longer worth the squeeze. With the selection show moving to basic cable and reportedly suffering a sharp downgrade in lead-in (from a conference championship game in previous years to Big Bang Theory reruns this year), it will inevitably endure another ratings decline. But in its first year broadcasting the event, TBS should probably be worried less about numbers and more about making sure viewers don’t resent them. A quick announcement of the bracket will go a long way in that regard. The selection show will air Sunday at 6 p.m. ET, with hosts Ernie Johnson and Greg Gumbel joined by analysts Clark Kellogg, Seth Davis, Charles Barkley, and Kenny Smith.